Check out Tobi's Love Season Stud Earring Set Get all the romantic feels with the Rose Gold Love Season Stud Earring Set. 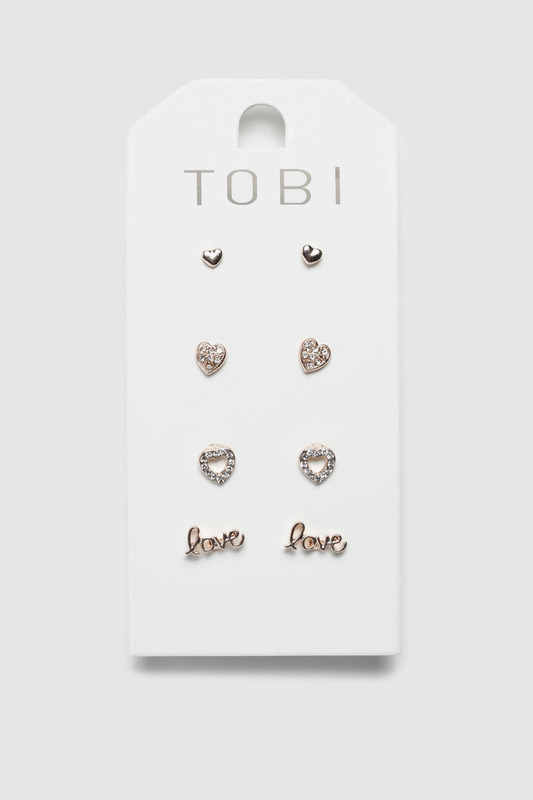 With four pairs of rose gold toned stud earrings to mix and match, including rhinestone studded hearts and a cursive love design, this earring set will keep your heart in the right place this fall. Get all the romantic feels with the Rose Gold Love Season Stud Earring Set. 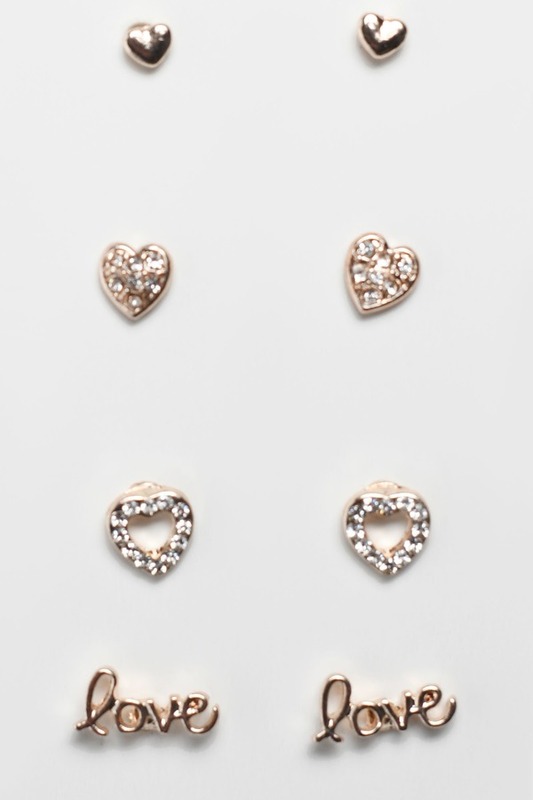 With four pairs of rose gold toned stud earrings to mix and match, including rhinestone studded hearts and a cursive love design, this earring set will keep your heart in the right place this fall.